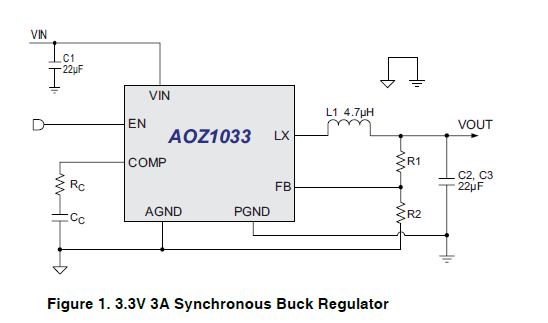 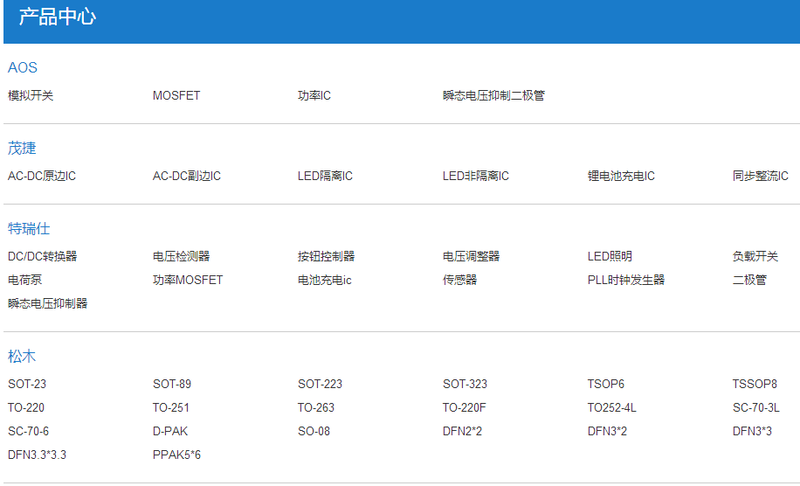 The AOZ1033A is a high efficiency, easy to use, 3A synchronous buck regulator. 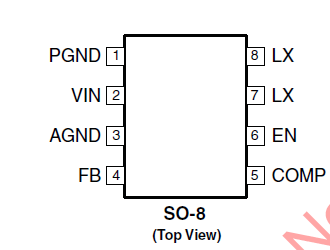 The AOZ1033A works from 4.5V to 18V input voltage range, and provides up to 3A of continuous output current with an output voltage adjustable down to 0.8V. 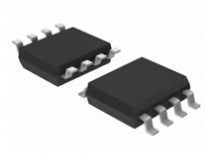 The AOZ1033A comes in a SO-8 package and is rated over a -40°C to +85°C operating ambient temperature range.